Students from three local schools came together to celebrate the Alcester Schools’ Book Award. 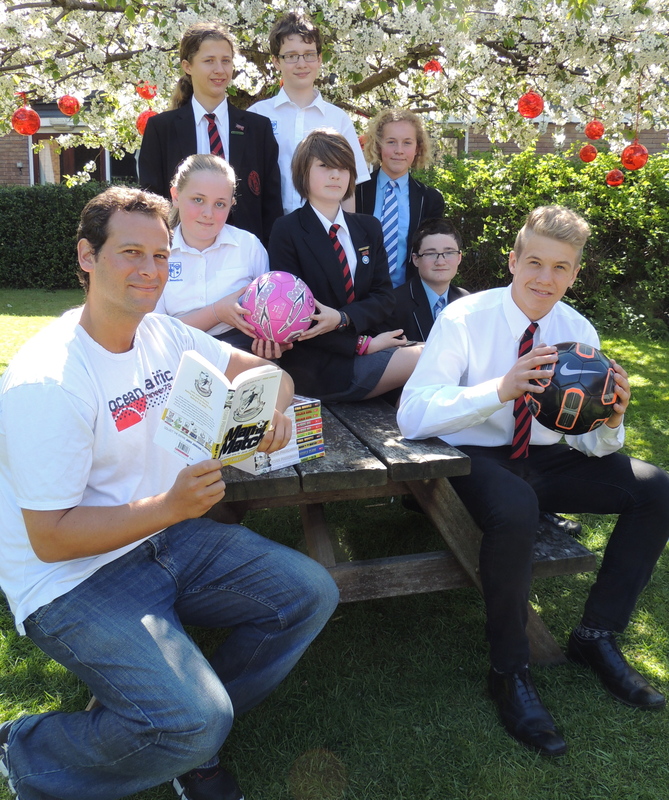 They were joined by acclaimed author, Dan Freedman, author of the highly successful series of Jamie Johnson football novels whose first novel is on the short list for the Award. Alcester Grammar School Academy, who hosted the event were joined by Alcester Academy and St Benedict’s School to listen to Dan talk about his series and his career. The students were fascinated to hear how Dan grew up wanting to be a professional footballer but when that didn’t happen he went on to become a top football journalist working for the FA, meeting and interviewing football stars from around the world. One of our students said “Dan Freedman was inspiring. He used different media to portray his books and also how football is very important in his life. It was interesting to have him at AGS and I hope he comes again to inspire more children to read and to write”. Dan was interested to talk to Tom Lang, our Year 11 student who has been signed by Birmingham City Under 16’s for the next two years and who recently made his debut for Scotland. Tom said “Dan, very kindly gave me one of his books to read as I would be able to relate to Jamie at this stage of his career dealing with the school/sport balance”. All the students were tasked with reading five books chosen by the Library Managers of the participating schools. The schools will come together for the final of the event in June when the students will vote for “the best read” and announce a winner.